Mrs. Connelly's Psychology classes had a very special guest speaker this month. 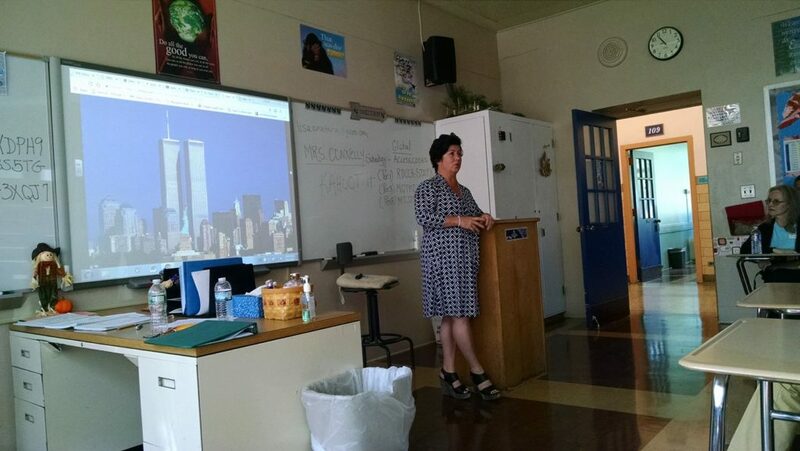 Mrs. Lisa Amatura - a parent of a 2017 alumna and an SMH sophomore - was on the 78th floor of the North Tower of the World Trade Center on 9/11. She shared her memories of that day with our students, making it come to life for them in a very real and meaningful way. Thank you for sharing an incredibly difficult and emotional journey, Mrs. Amatura.